When I was in high school, one of my good friends introduced me to the cookies her family always made for the holidays: potato chip cookies. While it sounded unusual, I gave them a try and noted that they had a rich, crisp taste. Fast forward to this last week and I noticed a boutique chocolate bar while waiting in line at the store which had potato chips layered throughout the chocolate. Since I love the pretzel-chocolate combo I thought the salty-sweet mix of potato chips and chocolate would be just as good. 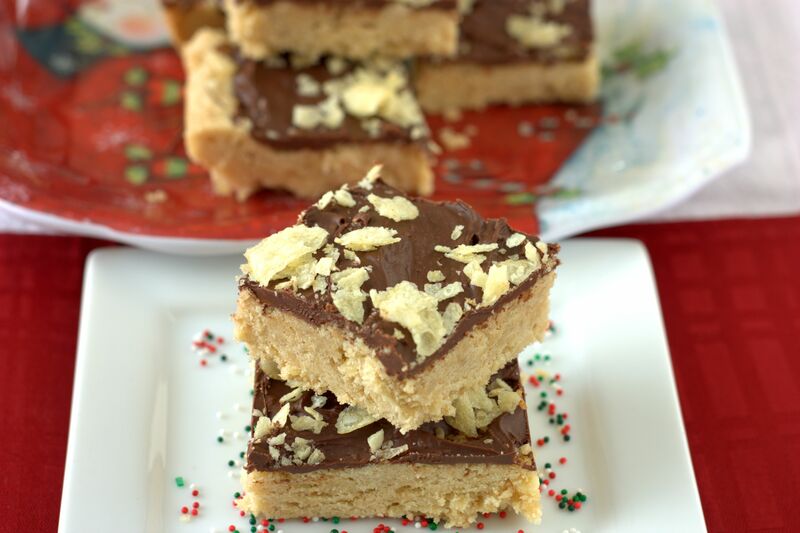 It was at that point that it hit me – why not combine a toffee bar cookie with potato chips? Thus my Potato Chip Bar Cookies were born. Growing up my mom always made toffee bar cookies using the Betty Crocker classic recipe, so I thought it was fitting to start with that recipe as my base. 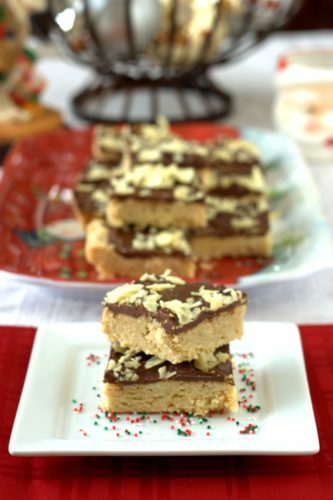 Then, potato chips get crushed into the toffee bar dough, and sprinkled on top of the chocolate as garnish (rather than nuts). 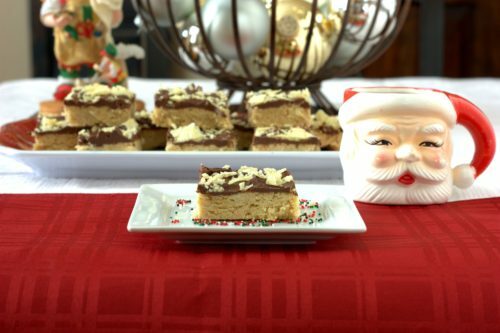 The result is a subtly different toffee bar and a great conversation starter. Heat oven to 350°F. In a standing mixer, mix butter, brown sugar, vanilla and egg yolk. Stir in flour until well mixed, then fold in 2 cups of the crushed potato chips. Press into ungreased rectangular pan, 13x9x2 inches. Bake bars 25 to 30 minutes or until very light brown (crust will be soft). Remove from the oven and immediately sprinkle chocolate chips over hot crust. Let stand about 5 minutes or until chocolate is soft; spread evenly. Sprinkle evenly with remaining crushed potato chips. 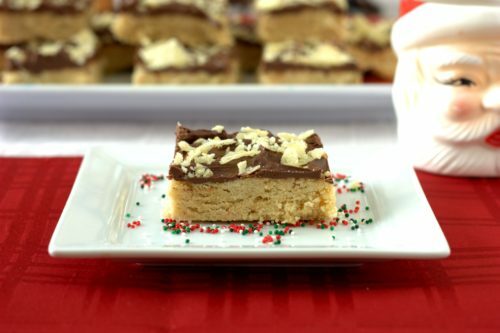 Let cool until chocolate is set, cut into bars, and serve.